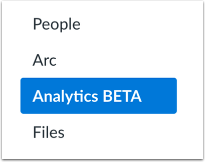 How do I send a message to all students based on specific course criteria in Analytics Beta? When viewing a data comparison card, you can send a message to students whose grades or submissions are among three specific criterion: grades are within a specific percentage range, assignments are missing, or assignments are late. Message recipients are automatically populated based on selected criterion as well as any applied filters. Selection criteria is applied to student performance on all assignments. Individual student selection is based on student scores and submission status. Sent messages can be viewed within the Sent folder in the Conversations Inbox. Messages sent to more than one student are sent as individual messages. If needed, you can also send a message to an individual student. Message recipients are automatically populated based on selected criterion as well as any applied filters. 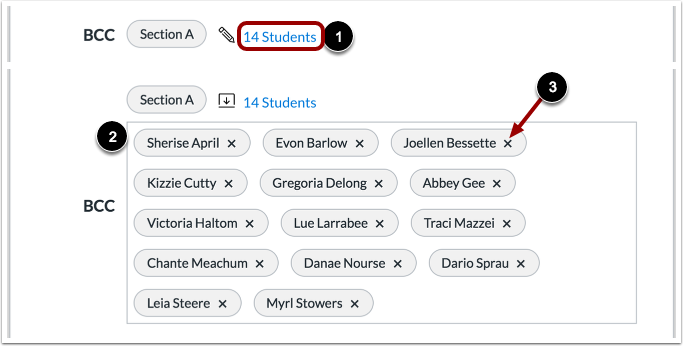 If you want to filter analytics for a specific assignment, section, or student, search for and select the intended filter in the Filter field . Then click the Message icon . The Message Students Who window defaults to the Score Range criterion , which allows you to message students based on a specific current grade percentage range in the course. The Range field determines the specified percentage range , and the BCC field displays the number of students who fall within the specified range . 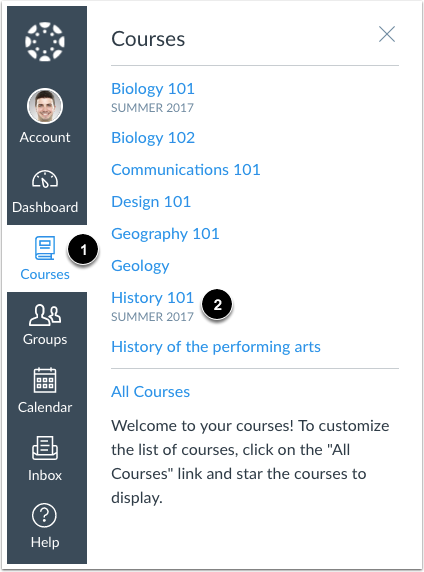 By default, the Range field displays 0 to 100%, so the BCC field includes all students in the course. Additionally, any filters in the analytics page automatically display as an intended recipient for the message. If no filters have been applied, the message displays as being sent to all sections. To select a new range, enter the minimum and maximum current grade percentage in the percentage fields . The BCC field displays the updated number of students and/or sections who have grade percentages within the specified range . The Missing and Late criteria options do not include any additional criterion. Selected students are based on submission status, and the number of affected students displays in the BCC field. Again, any filters included in the analytics page also display as intended recipients. For any criterion, you can manage the users who will be sent the message, if needed. Click the link that includes the number of students , then view the expanded BCC field . To remove a student from the message, click the student's Remove icon . To reset student names back to the originally specified list, click the Reset Names link. Previous Topic:How do I compare the course average data table with an assignment, section, or student filter in Analytics Beta? Next Topic:How do I send a message to an individual student in Analytics Beta? Table of Contents > Course Grade > How do I send a message to all students based on specific course criteria in Analytics Beta?